Brushed nickel finished hardware is paired with a burnished cherry finish on this dresser to create a classy, timeless look for your bedroom. The top drawers feature felt lining to protect delicate items from sliding and damage. A cross design adds dimension and interest for added aesthetic in your bedroom suite. All six drawers are created with 4-corner English Dovetailing for extra strength with lots of storage space. 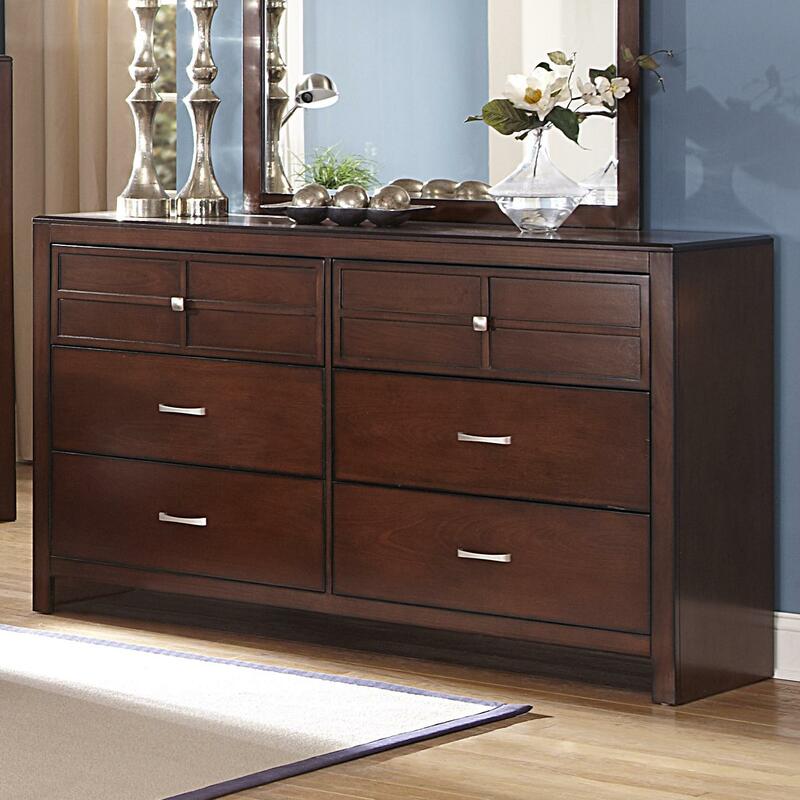 Clean lines, chic hardware, and a rich finish give this dresser a modern look for your master bedroom suite. The Kensington Six-Drawer Dressing Chest by New Classic at Michael's Furniture Warehouse in the San Fernando & Los Angeles area. Product availability may vary. Contact us for the most current availability on this product. The Kensington collection is a great option if you are looking for Transitional furniture in the San Fernando & Los Angeles area. Browse other items in the Kensington collection from Michael's Furniture Warehouse in the San Fernando & Los Angeles area.